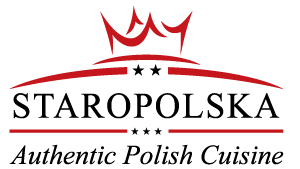 The most highly recommended Polish restaurant in Connecticut! 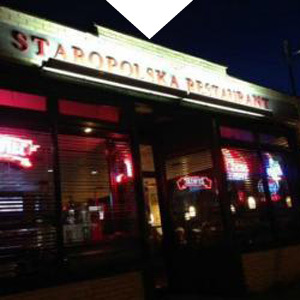 We invite you to Staropolska – Connecticut’s most renowned dining establishment specializing in Polish cuisine. 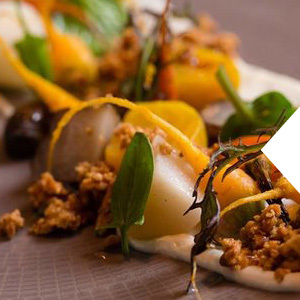 Our delicious dishes are prepared daily using the freshest ingredients and time tested, family recipes. 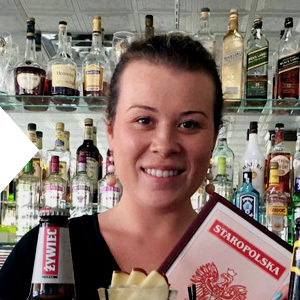 Complement your meal with a crisp Polish beer or a shot of Polish vodka. Visit Staropolska and find out why our motto “Tu jadamy jak u mamy” – “here we eat like at mom’s house” rings true in our cozy dining room every day of the week. 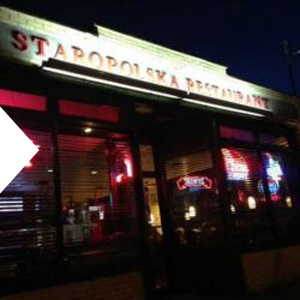 With its bargain-basement pricing and whopping portions, Staropolska is all about value. But what I love is the supreme coziness of the place, its welcoming charm. This is home cooking of a high order — and rarely has a restaurant made me feel more at home. At lunch we hit Staropolska Restaurant, where the soup of the day rotates from barley to borscht to pickle, with tripe soup available daily. We split a humongous Polish platter of stuffed cabbage, kielbasa, and mashed potato, bigos (sauerkraut cooked with bits of meat and sausage), three savory pierogis, and a plate-sized potato pancake. "This is home cooking of a high order — and rarely has a restaurant made me feel more at home." Served sauteed or boiled, with your choice of veggie: garden salad, beets, cucumber salad, sauerkraut salad, spring salad, coleslaw, or red cabbage. Choice of potato: mashed, french fries, or potato pancake ($1 extra) and a vegetable. Vegetable choices: garden salad, beets, cucumber salad, sauerkraut salad, coleslaw, cooked sauerkraut, spring salad, red cabbage, pickles or string beans. 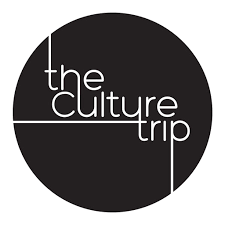 All dinners served with a choice of: cup soup or salad, a choice of potato (potato pancake $1 extra) and vegetable, except Tripe Soup and Red Borscht. Salad dressing: Italian, Ranch, Balsamic, Blue Cheese. Vegetables: beets, cucumber salad, sauerkraut salad, coleslaw, cooked sauerkraut, pickles or string beans. All dinners served with a choice of: cup soup or salad, potato (potato pancake $1 extra) and vegetable, except Tripe Soup and Red Borscht. Served with a choice of: cup soup or salad, potato (potato pancake $1 extra) and vegetable (excluding Tripe Soup and Red Borscht). Tues. - Sat. 11am to 9pm | Sun. 11am to 8pm | Closed Mon.